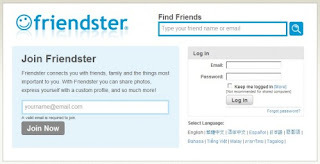 Friendster is the popular social network before facebook but after facebook came, many users move from friendster to facebook, maybe that because friendster don't have widget chat like facebook so people can't chat directly. and now friendster is not social network anymore, but it is a game online web. Mirc is a simple aplication to chat just use the server and go to chat, we just join to a room and go to chat, unfortunately mirc don't have a photo like a facebook, so that why many mirc user move to facebook. Yahoo is also nice way to chat, but facebook number one in the world now, so people prefer to use facebook that yahoo now, maybe because the complete of gadgets in facebook.. I don't chat using facebook. I have like almost 5k fb friends and once I go online I'll be enundated with chat, so the chat feature in my facebook is always close. I preffer using skype to chat.